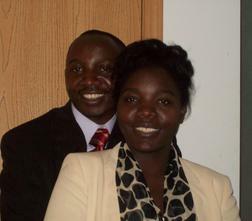 Having spent their youth in central Africa countries ministering and planting churches, Apostle Jean and Eva Ngirwe have seen it all, have tasted it all and have experienced it all. Having lived the war and civil war that ravaged the Democratic republic of Congo, having lived the poverty that shook the country and still shaking it, having seen all the tragedies that took place in DRC where five million people died, Jean and Eva and the mission team that they take every year to Africa have become a pillar of changes and blessings to the nationals of Democratic Republic of the Congo, Uganda and Kenya. After settling in the USA for awhile, God has called them through void Filling Empowerment to go back and help rebuild the broken hearts and broken wars in Central and East Africa. The organization works with the local farmers by providing to them agriculture materials and seeds to improve the production of crops. The Organization gives out contributions in many forms of humanitarian assistance to eradicate poverty in Goma, in DRC, in Kampala - Uganda in Siyaya and Kibera in Kenya. Our prayer is to find people, business and organizations to support the our organization to meet the goals, to fill the void of people and see lives changed.